MEGAN AND JACOB’S TOP PRIORITIES WERE EXCELLENT MUSIC ENTERTAINMENT AND A FUN PHOTO BOOTH. NOT ONLY DID THEY GET THAT BUT THEY GOT A DJ AND PHOTO BOOTH ATTENDANT THAT CARED ABOUT THEIR GUESTS’ EXPERIENCE. We know you have a lot of choices when it comes to event entertainment. That’s why we have spent the last ten years going above and beyond to make our client’s events better than they could have imagined. 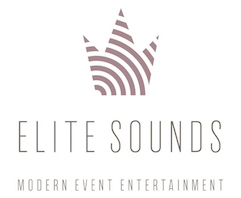 We have also been cultivating a team of DJs that all have over 5 years of experience in the wedding industry and numerable reviews to their name. And in the same spirit, we’ve been training up Photo Booth Attendants that are both technically proficient and fun to interact with. Check out what our past clients have to say about our top notch team on The Knot. For more information on how to setup your event for success, pick a date and time below to book a free consultation.